Adult Coaching - Queensland Tennis Centre - Play Tennis, Court Hire, Coaching, Fixtures - Brisbane, QLD. The Queensland Tennis Centre’s team of nationally accredited coaches can take your game to the next level, regardless of your current ability. Our group coaching classes are an incredibly fun, social and affordable way to improve your tennis game. 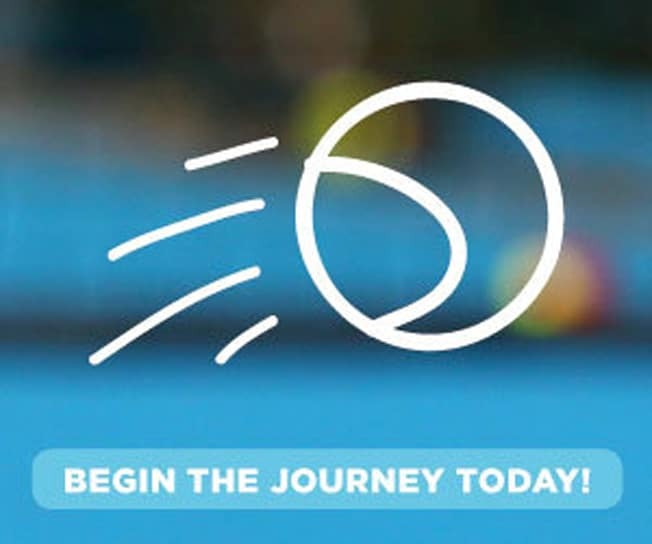 A fun way to kick-start your tennis journey, the Novice program is designed for players with limited experience; or players that have not played in years, and are looking to dust off the rust. This course teaches you the basic fundamentals of this fabulous game, as well as the basics of scoring and positioning. Come out and meet people who are of a similar standard to you. Sessions run for one hour. Can you hit the ball with control, sustain a short rally at slow pace and are capable of serving the ball into play at pace? Then the intermediate program is for you! This is the ideal program to help you make that crucial step from an intermediate to an advanced player. Sessions run for one hour. The advanced program is designed for players who exhibit aggressive ground strokes and can play a set of tennis. Players have improved court coverage and are able to place the ball accurately at all levels of the court. Players show forceful shot play in singles and doubles and can serve the ball with pace and top-spin. Sessions now run for 90 minutes. Payments can be made by direct debit with both fortnightly and quarterly payment options or upfront credit card payments are also available. Transaction fees are payable on both options (see the registration page for details).